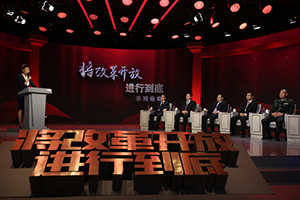 "The Only Path", an in-depth eight-episode political documentary about China's 40-year reform and opening-up, will be aired on China Central Television (CCTV) at prime time starting Tuesday. 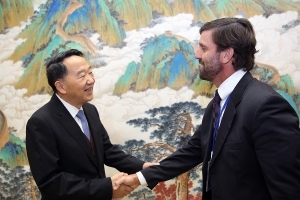 Guo Weimin met with a U.S. media delegation in Beijing on Wednesday. 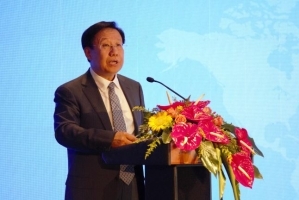 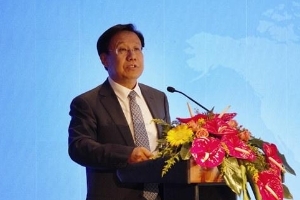 Jiang Jianguo, deputy head of the Publicity Department of the Communist Party of China (CPC) Central Committee, met with media representatives and online influencers from Panama on Wednesday in Beijing. 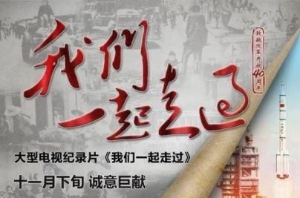 An 18-episode documentary featuring the stories of China's reform and opening up is broadcasting nationwide. 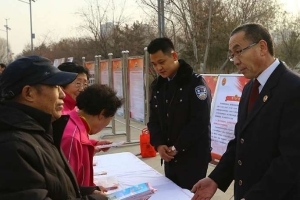 China has unveiled its first Constitution Week publicity campaign in the northern city of Hohhot, capital of Inner Mongolia Autonomous Region, the Guangming Daily reported Monday. 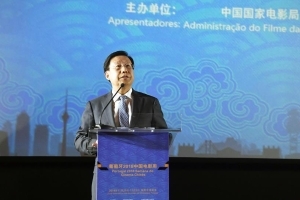 Wang Xiaohui, executive deputy head of the Publicity Department of the CPC Central Committee, delivered a speech at a dialogue between Chinese and Portuguese media in Lisbon on Nov. 26. 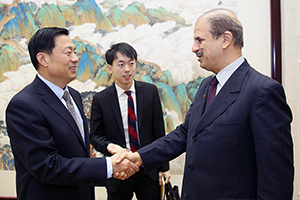 Guo Weimin, vice minister of the State Council Information Office of China, met with Abdulaziz Saleh bin Salamah, a senior cultural official of Saudi Arabia, and a delegation of think tanks and media professionals from Arab countries on Nov. 28. 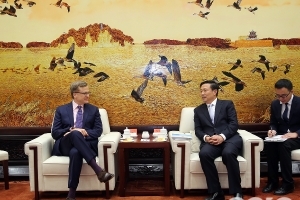 Guo Weimin, vice minister of the State Council Information Office of China, met with a delegation headed by Zanny Minton Beddoes, editor-in-chief of The Economist magazine, in Beijing on Nov. 26. 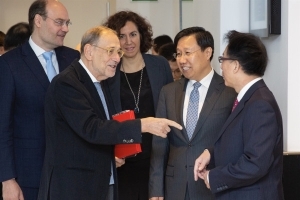 A seminar on media cooperation between China and Portugal was held in the Portuguese capital of Lisbon on Monday. 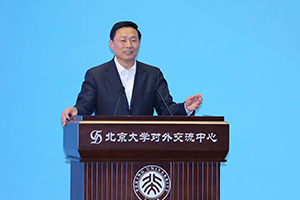 Guo Weimin, vice minister of the State Council Information Office of China (SCIO), spoke at the closing ceremony of the China Spokespersons Forum held at Peking University in Beijing on Nov. 25. 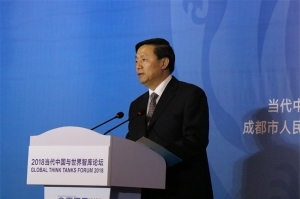 Wang Xiaohui, executive deputy head of the Publicity Department of the Communist Party of China Central Committee, described the China-EU relationship as "one of the most important bilateral relationships in the world". 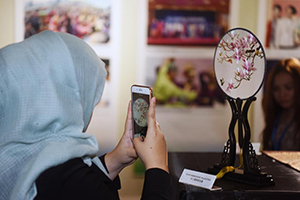 A series of cultural exchange activities including exhibitions and seminars were held in Brunei's capital Bandar Seri Begawan on Thursday to boost China-Brunei cooperation. 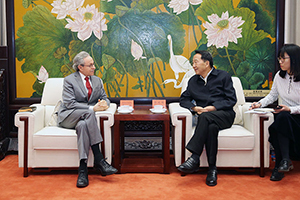 Jiang Jianguo met with a delegation headed by Robert Lawrence Kuhn, chairman of the Kuhn Foundation, in Beijing on Nov. 14. 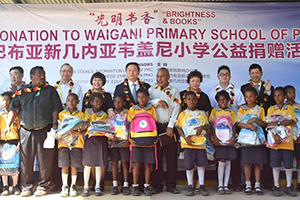 A series of cultural exchange activities were held in Port Moresby on Monday between China and Papua New Guinea (PNG) ahead of the Asia-Pacific Economic Cooperation (APEC) Leaders' Meeting. 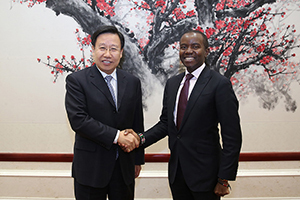 Wang Xiaohui meets with Kenyan ICT Cabinet Secretary Joe Mucheru in Beijing on Nov. 10. 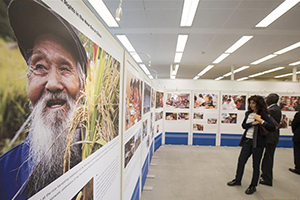 An exhibition titled "The Development of China's Human Rights in the New Era" was launched in Geneva on Monday at the UN Geneva headquarters. 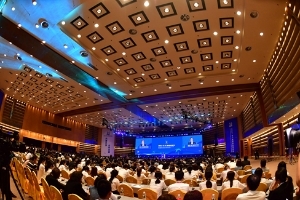 The 2018 Media Cooperation Forum on Belt and Road kicked off on Tuesday in Boao Town in south China's Hainan Province. 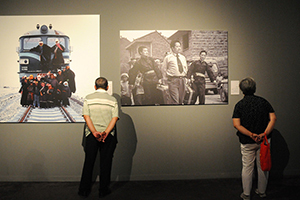 A major exhibition will open soon at the National Museum in Beijing to mark the 40th anniversary of China's reform and opening-up, which was launched by Deng Xiaoping, according to China Central Television. 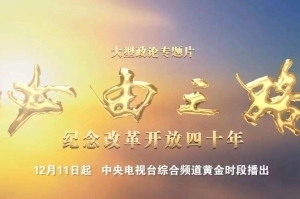 Wang Xiaohui meets with famous Indian actor Aamir Khan in Beijing on Oct. 19. 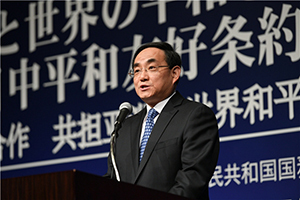 The 14th Beijing-Tokyo Forum, an annual event representing the highest public diplomatic communications platform between China and Japan, opened in the Japanese capital on Oct. 14. 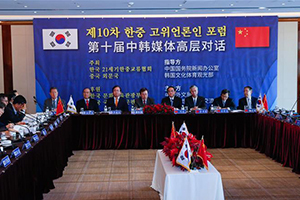 The 10th China-South Korea Media High-Level Dialogue was held in Seoul on Thursday, with participation of representatives from the mainstream media groups of the two countries as well as local experts. 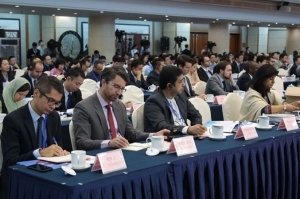 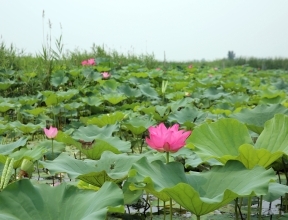 The State Council Information Office (SCIO) organized a media tour to Xiongan New Area in northern China's Hebei Province from Friday to Saturday. 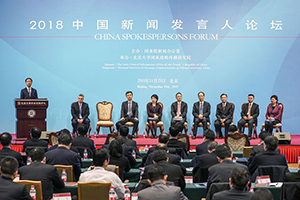 China's reform and opening-up has produced abundant stories the world will be interested in, and they need to be told well, said documentary directors and producers at a forum. 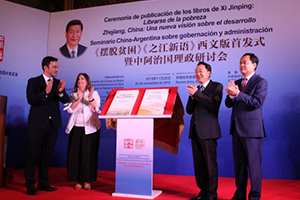 This year's Beijing Forum on Human Rights, which focused on poverty elimination, closed in Beijing on Wednesday.